The inspiring true story of Shark Tank star Barbara Corcoran--and her best advice for anyone starting a business. 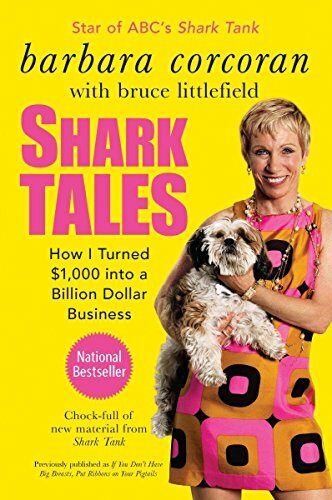 After failing at twenty-two jobs, Barbara Corcoran borrowed $1,000 from a boyfriend, quit her job as a diner waitress, and started a tiny real estate office in New York City. Using the unconventional lessons she learned from her homemaker mom, she gradually built it into a $6 billion dollar business. Now Barbara's even more famous for the no-nonsense wisdom she offers to entrepreneurs on Shark Tank, ABC's hit reality TV show. Shark Tales is down-to-earth, frank, and as heartwarming as it is smart. After reading it don't be surprised if you find yourself thinking, "If she can do it, so can I." Nothing would make Barbara happier. If you have any questions about this product by Brand: Portfolio Trade, contact us by completing and submitting the form below. If you are looking for a specif part number, please include it with your message.